Telling stories through novels, short fiction and music! “Hello my name is Mr. Damion,” the man on the front step said, reaching out his hand. Thomas shook it, reluctantly, then wiped his hands off on the grimy towel hanging from his belt loop. Thomas could tell Mr. Damian was from out of town – the top hat, the slim mustache and not a wrinkle in his dress shirt. No, the visitor was not from the Northeast, much less New Jersey and Thomas had no time for visitors regardless of where they were visiting from. “Yes, how can I…” Thomas began. Mr. Damion slowly drifted from Thomas’ view. His eyes glazed over and he felt a fleeting presence lifting him, tho his feet stood firm. Seconds ticked passed and Thomas felt light, then heavy, then light again. He blinked and noticed a man in front of him, grinning. Thomas blinked again and suddenly felt nauseous. “Can I help you?” Thomas asked, wondering how long he had been standing there. “I have all I need, thank you,” the gentleman responded, giving a slight bow, and turning back toward the hard clay of Christie Street. The mid-day air blew across Thomas’ face as he watched the stranger disappear. He walked in, closed the door, and stood in the parlor and scratched his head. “Oh well,” he said and walked slowly back to his lab. Sitting on his desk, as if waiting to be picked up, was a glass container. Under it, a book. He knew it was his handwriting and sketches, but it was jumbled in his mind. He picked up the container and caressed it. It felt like his, something he owned, but it’s purpose was not clear. Waiting, gazing, he hoped for some understanding. When none came he shrugged, took the bulb and the book, and placed them in the crate labeled ‘Discarded Inventions.’ After the lid closed shut, he looked around the room, arms folded, wondering what project he should tackle next. NOTE: I have been tinkering with the idea for a MG novel about an ‘idea thief’ and wanted to take a crack at it. Please feel free to share any thoughts or ideas! I had the privilege this past weekend to attend my first ever writing retreat. Four writers from my writing group – Richmond Children’s Writers – and three from another local group made our way an hour and a half south of Richmond to Lake Gaston. One of the members had an in with a condo owner so we got to stay for free (yeah, big plus). Mission accomplished. It was a wonderful experience and couldn’t have come for a better time for me. I find myself getting comfortable or unmotivated about every 3-4 months and need that little spark to keep me going. It was perfect! There was a pretty organized schedule, but it was not set in stone. There was time for writing, critiquing, discussion sessions, eating and just enjoying each other’s company. Over a two day period, there was probably 10 hours for writing and 10 hours for other. – it’s a very positive experience to sit with other writers and just…write! I’m used to being by myself and leaving all the distractions behind when I write. But sitting in the same room with other writers was very rejuvenating and encouraging. All the clacks of the keyboard, the periodic discussion…there was a great energy. We were very blessed to have a great group that melded well together. – I need to take more time to brainstorm and discuss my writing projects with other writers. I am very blessed to have a critique group, but I need to take more time to interact about ‘big picture’ subjects and other mechanics of the craft. – good readers make good writers! I have fallen out of the habit of reading for pleasure and need to get back in the groove. Considering going to a writing retreat? While this was a group organized retreat and somewhat informal, I imagine all writing retreats are similar in goal and organization. Are you stuck in your writing? Do you find yourself lacking writing friends to brainstorm and commiserate with? Do you have a goal but aren’t sure how to get there? Are you at the point in your writing where you can give honest critiques and receive them as well? If you answered yes, then it sounds like a writing retreat might be for you! Have a look here for a great tool to help you look for retreats. I know I am looking forward to doing it again next Spring! This is something, as a writer, I have only come to appreciate (and apply) within the past year. Anybody, in any line of work, but especially a creative outlet such as writing, needs a support system. 1) You have an outlet to share your struggles, frustrations, concerns, goals, highs, lows and everything in between….with people who know exactly what you are going through. It’s one thing to share it with your best friend who says, “Hey that’s great!” or “Don’t give up!” It’s another thing to share it with a fellow writer, who has struggled as you have, who knows what it’s like to stare at the blank page in frustration. You need that kind of support in this lonely world called writing. 2) Your writing will improve. Writing is not just about writing. It’s about ideas and learning and techniques and background and every once in a while getting away from the keyboard to find out what others are doing. Then, when you come back to your material, you will be amazed at how much you have grown. As Lana mentions above, your support may come from a critique group (maybe online or in person), it may be a local writing group that hosts workshops or just a few friends that get together informally. However it is, the key is that you find that support. – Absolute Write Forums – THE writers forum online to discuss everything from ideas, format, technique, editing, publishing, agents, etc. You name it, it’s on there. A great community! – Goodreads – Goodreads is a free website for book lovers. Imagine it as a large library that you can wander through and see everyone’s bookshelves, their reviews, and their ratings. You can also post your own reviews and catalog what you have read, are currently reading, and plan to read in the future. Don’t stop there – join a discussion group, start a book club, contact an author, and even post your own writing. – Scribophile – The online writing group and writing workshop where you get thoughtful critiques and feedback on your writing. I was amazed at how much my editing improved as I edited other peoples work, not my own. – http://www.newpages.com/writing-conferences/ – A great, comprehensive list of local writing conferences. What kind of support system do you use to help you grow as a writer? I could and I did. I didn’t even have to think about it. 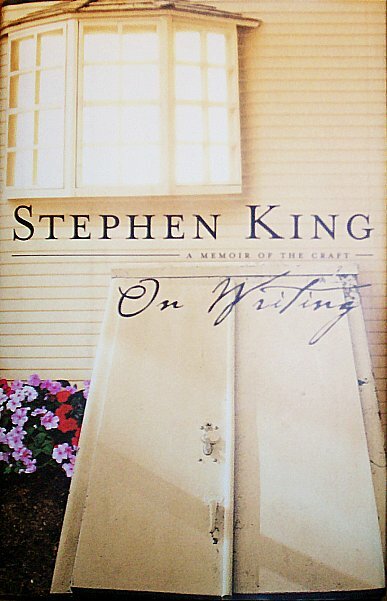 If you only read one book on writing, I suggest it should be (aptly named), On Writing by Stephen King. You should actually read more than that, but if you could only read one, it should be that one. Is it because I have a maniacal love affair with Mr. King and his writing and take everything he says to be the gospel truth? No. In fact, I have only read a handful of his books in my life time (and some of them I really didn’t like…don’t tell). No, it’s because in this ‘memoir on the craft’ Stephen King does exactly what any good writer should do…he makes you feel a connection to the main character. In this case, the main character is him. As opposed to being a textbook or a ‘how to’ book on writing, we learn not by doing first, but by caring first. Stephen, in his own relaxed, inviting writing style, invites you to care about him, his writing career, his family, and ultimately your own writing dreams and goals. Then he is able to provide insight that is beneficial to help with those dreams and goals. It is truly one of the most fascinating books I have ever read. It changed me as a writer, because it changed me as a person. Ultimately, that’s what good writing has the potential to do, but only if we give a part of ourselves to it. If you have not read it, get a copy – today! If you have read On Writing, did it help you as a writer? How? Have you ever heard anybody say that? Well, old me was ignorant and stubborn. Thankfully I saw the light. Three years ago I was still in the early stages of working on my new YA novel and I was at Barnes and Noble with my wife. She had gone off to wander the shelves and I was going through the magazine stacks. I walked past the new Writer’s Digest once. I walked past it twice. Finally I picked it up. I walked over to the cafe and sat down next to my love, who had two or three books she was skimming through (she’s an avid reader). I began looking over the articles and pretending like I was interested and learning a lot. I stopped on an article that said, in a nutshell, “Read More And Become a Better Writer”. I sighed, frustrated. I looked around the store at the THOUSANDS of books and reality set in. I finally decided to let go of my pride and find the humility to do what had been blatantly obvious all along – READ! She thought for a second and replied, “‘The Goose Girl’ by Shannon Hale.” Uh, okay…sounds manly! The next time I sat down to write, I instantly noticed an improvement in my writing. No kidding; it was instant. And the more I continued to read, the more my writing continued to improve. I am here to testify to you that it works. 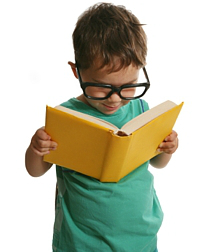 Yes, reading does make you a better writer! Ever since then I have been an active reader. I strive to read a book every two weeks. Sometimes the books are well written and I learn ways to improve and sometimes I don’t like what I’m reading and I learn the type of writing I want to avoid. Either way, I’m learning and growing as a writer. So if you are not already, find something to read…and don’t stop – your writing will thank you for it! PS – Thank you Shannon Hale for opening my eyes! If you are a writer, how does being a more active reader help your writing? When I was in elementary and middle school I did not read or write that much. I HATED writing and only read what I was forced. 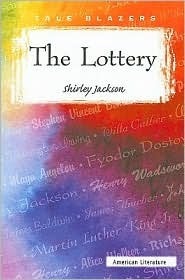 But, I do remember reading The Lottery by Shirley Jackson. I can’t remember exactly what grade I was in (must have been in the fifth or sixth grade), but I will never forget sitting at my desk, and finishing it as part of our class assignment. The story itself is short and was inserted into our textbook. It changed how I felt about reading and the power of the written word. I remember finishing the story and for the first time in my life being moved. The author had emotionally invested me into the story enough that I cared about the characters and the outcome. She made me respect what was happening in the world she created. Everyone seemed so keen on doing it, yet there was a calmness about it. Everyone wanted to know who was going to win, but it didn’t seem like anybody was very excited to win. Hmmm!? The imagery, the foreshadowing, the mood, the climax, and then back to regular life like nothing ever happened. At a young age I was left speechless, wondering if it was all true? Simple story that you can either enjoy for story, or you can discuss for the underlying themes (which are MANY). In both categories, it’s in a league of its own. Do you remember the first story that really affected you? I call my first draft the ‘plot draft’ because it helps me focus on what’s most important at this point, the story…the plot. You just have to write. Period. You cannot go back and edit. Write and do not edit. Just get the words on the page. Your plot draft is supposed to stink to high heaven and be full of run on sentences and grammatical mistakes. The key is just to write…and write…and write! And when you are done with your plot draft, take time to congratulate yourself. You have just accomplished something wonderfully hard and worthwhile! Sidenote: Remember, now that you have scene outlines and summaries, you don’t have to necessarily write in chronological order. When you find yourself at a road block with a particular section of the story, you just peruse your scenes and find another part of the story that sounds interesting and keep on writing. You have already thought it through and planned it out! 8. Personal Revision #1 – After you are done with the plot draft, take a few weeks off. Don’t even look at the story. Come back with fresh eyes and read through the entire story, start to finish. With this read you are only concerned with story flow and pace. Does the story as you envisioned it in the outline come across on the page? Are there parts that need to be cut? Characters that need to be developed? Scene changes that don’t make sense? The ending that sounded so great before on paper not looking so hot? 9. Personal Revision #2 – Now you can get the red pen out and take care of all that punctuation and grammar that’s been causing you anxiety. Do the best you can on your way and get your draft as neat and as polished as you can. 10. Peer Revision – The key here is to get more eyeballs on your work that can find things you missed. The key here is NOT to get praise. Don’t ask people to read your work when it’s not done (FYI – it’s not done yet) hoping they will give you praise. Because they might, and that’s the worse thing that could happen to help your story improve. Find 2 – 3 people in your life that a) like to read and b) you know will tell you the truth. These people need to be able to read your work and tell you just how much needs to get changed. Trust me, it’s a good thing. Take the information you get back from this process and weigh it carefully. If it is legitimate and helps improve the story, make the changes. If it doesn’t, well, ignore it. You have ultimate creative control. Sidenote: Another very, very positive option is to find a local or online critique group. This will include other writers that you can not only learn from, but also give back to the writing community. 11. Personal Revision #3 (Final Manuscript) – One last time, just for good measure, go through and make sure you are happy with story flow, character development and scene structure. Make line edits as you go, always trying to correct grammar and punctuation as you find it. Read your synopsis again. Does the story do what the synopsis says? If so, you are almost done. Only if you find someone that will actually do what you are going to pay them to do. I know that’s a loaded comment. The key is you want to find someone who can go through and find all the things that you and your friends and you (again) missed. At this point you should be focusing on technical editing, not the story. Find a grammar/punctuation fanatic that will work your manuscript over like it is going to be submitted for the Pulitzer. If you can find that person, it is worth every cent. And when I say “professional edit”, I don’t mean your friend who is the school teacher or your neighbor who won the essay contest at the local fair. Find a reputable, true-blue editor that you don’t know (but that you then can build a working relationship with). This is easier said than done. So take time and check references to make sure your expectations match that of the editor. Assuming you find a great match, whatever grammar or punctuation changes that don’t take away from the voice of your story that they tell you to make…make them. You have a real life manuscript that you can be very proud of. It will never be perfect. Every writer has the feeling of wanting to go back and change something. But if all writing was supposed to be perfect we wouldn’t have anything to read. If you have written a story, or have thought about writing one but haven’t started, I would love to hear about it. Leave me a comment below. Click here to order paperback or Kindle ebook!